Recently I bought my first pair of boots over the Internet and I have to tell you that even though I didn't like them, I will order again from Zappos, the large online retailer of shoes and clothing. Comparing buying boots and buying a new home may seem like an apple and orange comparison but the way I was treated by Zappos may offer a modular home factory some insight into how our industry can do a better job of telling our side of the new home construction business. When my boots arrived, they were not exactly what was described on the boot manufacturer's website. Yes, they fit fine but as I sat and looked at them, I knew I would not have bought them if I had actually seen them in a store. Hesitant to call Zappos simply because I didn't like the boots and ask them to take them back is something men don't like to do. However I knew the boots would just gather dust on the shelf rather than have me put them to their intended use and the fact that I paid almost $170 for them prompted a call to customer service. That is when the magic started. 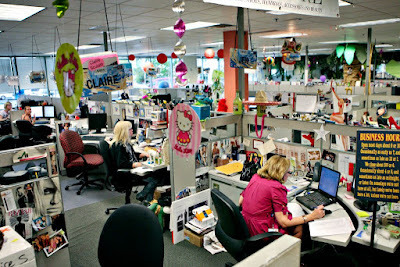 Here it was only a few weeks before Christmas and perhaps the busiest time of the year for Zappos. Within a minute of my call I was talking to customer service. Alison was the smooth voice on the other end and I waited for the usual "What seems to be the problem?" and also the runaround I was sure would happen when I said I just didn't like the boots and wanted to return them and get my money back. Instead I was talking with someone that listened patiently to my story. Then she explained that a lot their customers change their mind after they receive their order and getting my money back would be no problem. She immediately gave me a shipping number to send them back and offered a full refund. That is when the real magic happened. They handle 10,000 calls a day! "Did I like quality of the boots I received but just not that particular style? Did I know that boot maker offers other styles I might find a better fit for me? 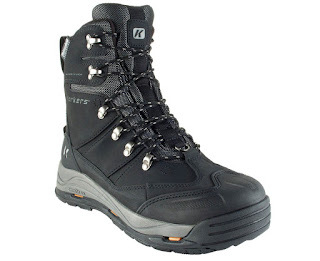 Would I like to discuss what I was looking for in a high top winter boot? What type of activity was I going to use the boot? Is is important that it be waterproof, insulated, all leather, etc?" She then guided me through boot after boot while I was on their website. All the while she was pleasant, funny and reminded me of conversation with a good friend over coffee. By the time the call came to an end I had chosen another pair of boots for $30 less, been issued a return authorization and credited $30 back to my credit card. All this in only 17 minutes. Turns out I didn't buy my new boots from Zappos, I bought them from Alison and I intend to buy more things from them. So what exactly does this have to do with modular housing? Ever factory has a website. Most have a Facebook page. Some are on Twitter, Pinterest and Houzz. But none of these will ever replace a real voice on the other end of a phone call. Now imagine if someone looking at your website saw an offer to call you (during business hours) and talk to a real person who would answer their questions about your homes, explain where the home they ordered from you is in the production process or field their complaints and make sure they get either immediate attention and answers or told when someone with the answer will call them back or answer them by email. This is not Mission Impossible stuff. Now imagine just one person working a 40 hour week charged with maintaining your website and social media accounts and being available to answer your hotline. They would have to know your process, who does what and have the authority to tell the right person to get back to the caller and then follow up to make sure they did. If this person saved even one sale a year or talked a prospective new home buyer into consider buying a home from one of your builders, how important does this make this 'new' position? Would your builder see the added benefit you just added for them? The metrics for this position will be hard to establish but a year in operation should show results..either good or bad. Lots of questions to answer but if Zappos taught me anything, it was that a real, personable voice on the other end of the phone could be the best way to promote our industry in general and your factory in particular. BTW, my new boots arrived Saturday and they are perfect. Thanks Alison.